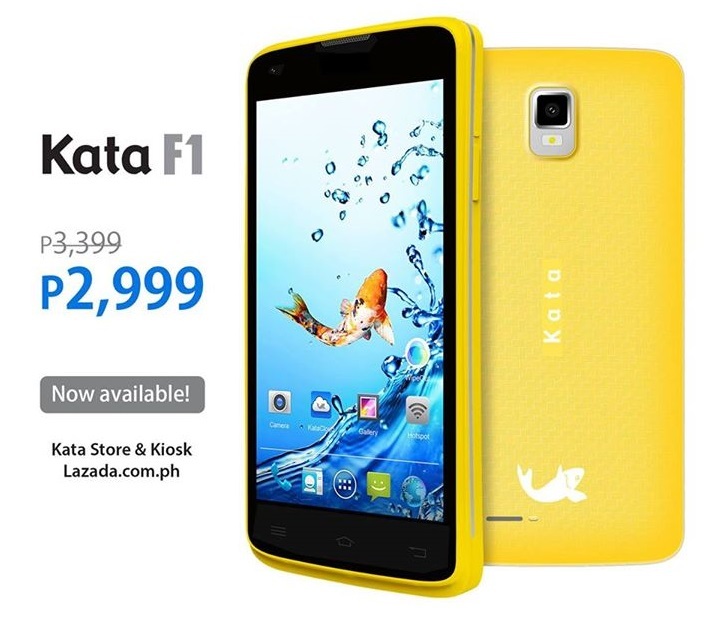 Home Smartphones [PRICE DROP] Kata F1 now only Php2,999! 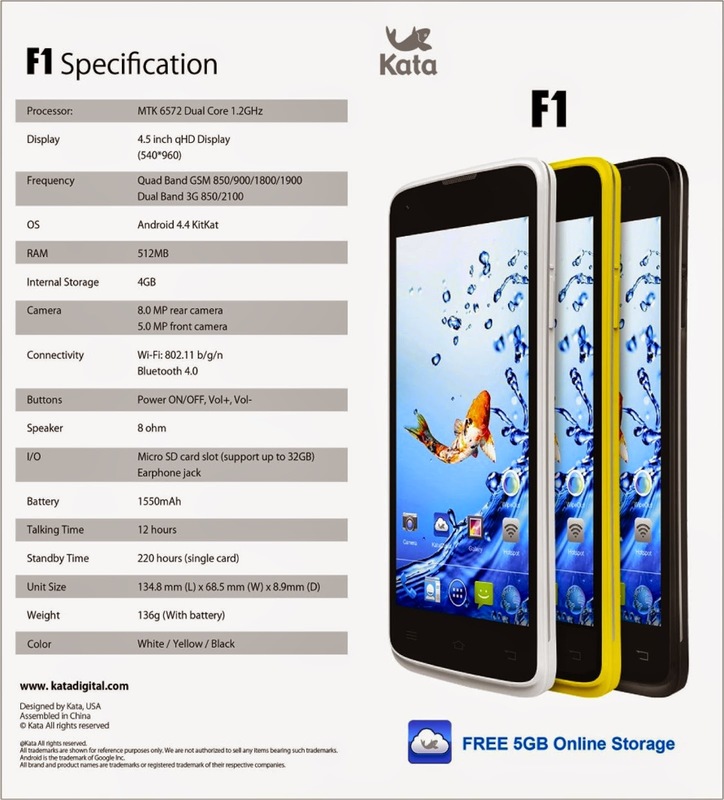 [PRICE DROP] Kata F1 now only Php2,999! Kata Philippines recently announced a Kata F1 special price markdown from Php3,399 to Php2,999! The Kata F1 packs a 4.5-inch qHD display, Android 4.4 OS, 1.2GHz dual-core processor, 8MP+5MP camera, 512MB RAM and 4GB of internal storage. Get it at any Kata outlet and at Lazada.com.ph. Hurry, limited stocks only!